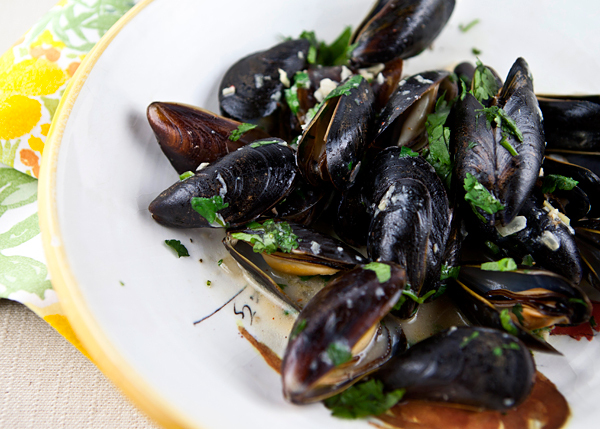 I adore steamed mussels and could eat them daily without ever getting tired of them. This version has an Asian flair to it and I found the flavors really worked well with fresh mussels. I made the broth the mussels are steamed in a couple of hours before I actually cooked the mussels and found the flavor of the various ingredients really melded together even more as it sat. Just before dinner, I simply reheated the broth and steamed the mussels for a few minutes until they opened. This broth is delicious, so I would recommend serving the mussels with some crusty bread to sop up the juices. Mussels are a high protein food source, and their low fat content makes them potentially healthier than other protein sources. 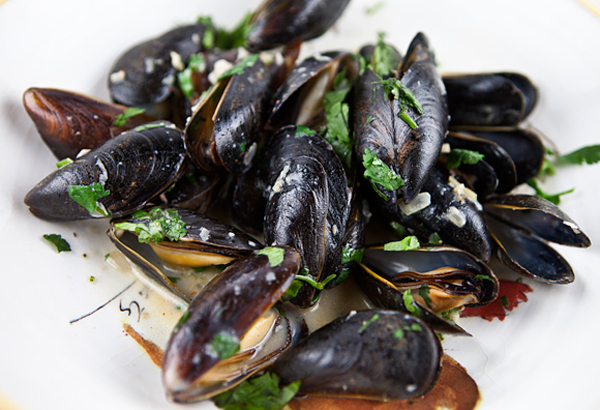 Mussels are also an excellent source of vitamin B12 and selenium, vitamin C, phosphorus, manganese and zinc. Unsweetened light coconut is lower in calories than regular coconut milk. Heat the oil in a large saucepan and then cook the onion until translucent. Add the garlic, chili, ginger, and lemongrass, and cook another couple of minutes until fragrant. Next add the cilantro, lime zest, wine, and coconut milk and bring to a boil. Let the broth sit until needed. Just before serving, reheat the broth and add the mussels. Cover the pot with a lid and turn the heat to high. Cook the mussels, shaking the pot from time to time until all the mussels have opened, about 8 minutes. 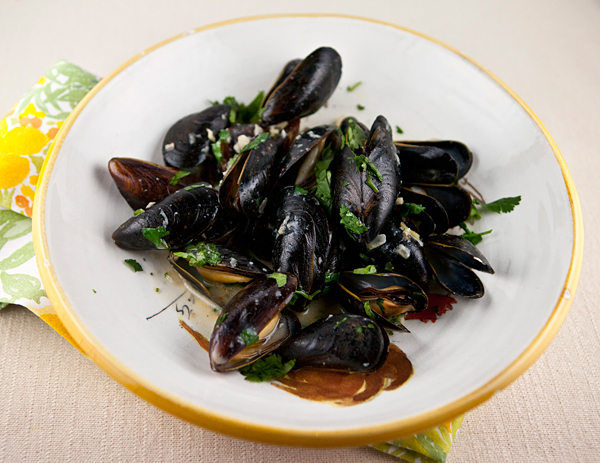 Serve the mussels in individual bowls with the broth spooned on top along with lime wedges.